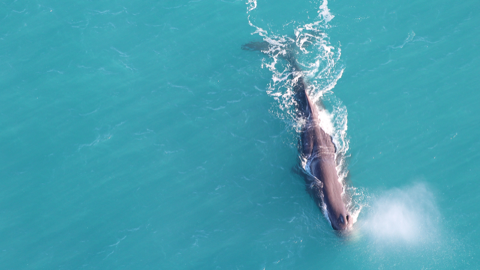 These animals can reach an impressive 18 metres in length and weigh up to 60 tonne! 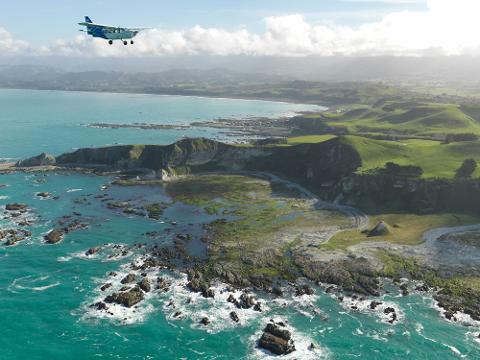 Wings Over Whales Kaikoura operate high-winged aircraft, which allows each person their own window seat and optimal, unobstructed viewing.We welcome individuals, groups and also those with young children and babies. Our facilities are fully wheelchair accessible and we can happily accommodate the elderly and those with limited mobility on all flights. 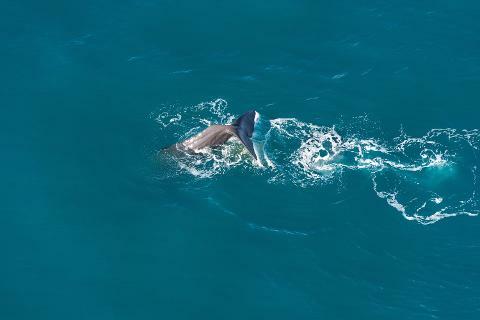 Learn more about Kaikoura’s resident Sperm Whales and other marine mammal species during a 15 minute pre-flight information and safety briefing. 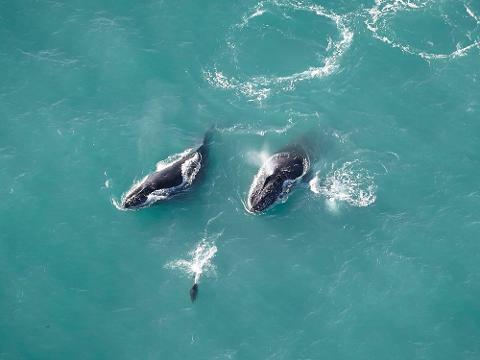 Whales and dolphins are orbited at a height of 150 metres giving passengers the opportunity to clearly see and photograph these incredible creatures. 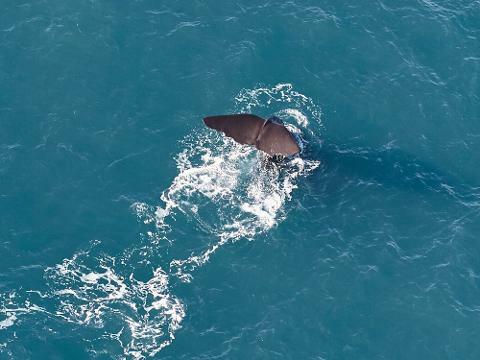 View the entire whale from head to tail as he breathes on the surface of the ocean. 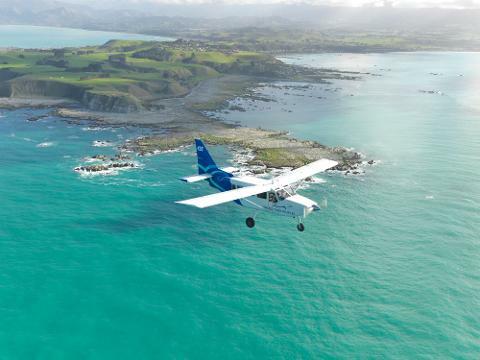 Our flights are suitable for individuals who suffer from sea sickness. 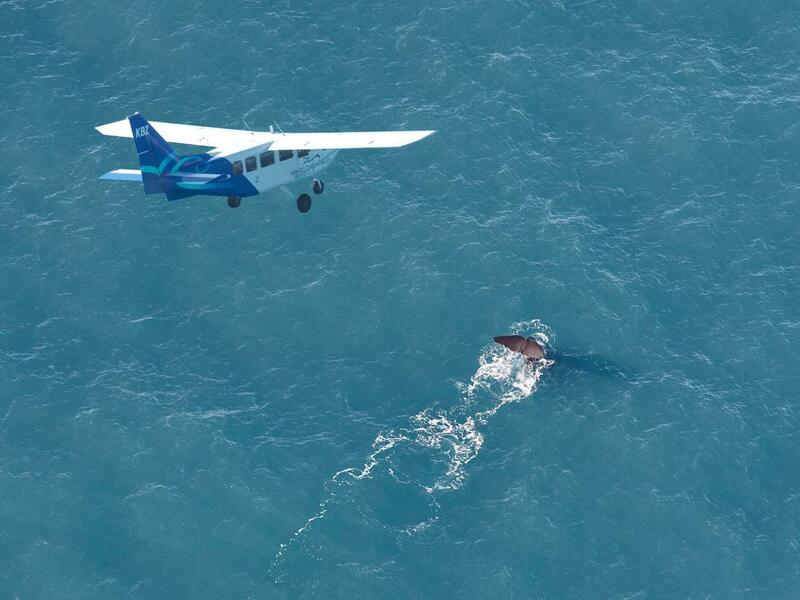 All whale watching flights are carried out in accordance with Department of Conservation Marine Mammal Regulations. Our aircraft are all equipped with emergency life rafts, personal locator beacons and each passenger carries their own life jacket.